In this article, we will see some examples, where JDK throws ArrayIndexOutOfBoundsException and StringIndexOutOfBoundsException. You cannot cast ArrayIndexOutOfBoundsException to StringIndexOutOfBoundsException and vice-versa. Throw ArrayIndexOutOfBounds if you deal with an array, and throw StringIndexOutOfBoundsExeption if you deal with String. 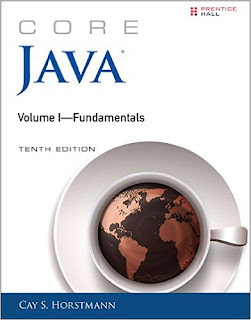 You can also see Core Java Volume 1 - Fundamentals 10th Edition by Cay S. Horstmann to learn more about these two exceptions in Java. Here is a sample Java program to demonstrate the difference between these two exceptions, both are same i.e. they come when you try to access the invalid index. You get StringIndexOutOfBoundsException when you try to access the invalid index of String object using methods of String class. Similarly, when you try to access an invalid index of an array you get the java.lang.ArrayIndexOutOfBoundsException in Java as shown in the following example. // to access invalid index of a String in Java. That's all about the difference between StringIndexOutBoundsException and ArrayIndexOutOfBoundsException in Java. Just remember that root cause of both errors is trying to access the invalid index.